"Table-Plans.com was built to help people print off guest plans for weddings (or any event) at short notice. Too often I've been to weddings were several guests have cancelled the night before and thrown the seating plan into disarray. 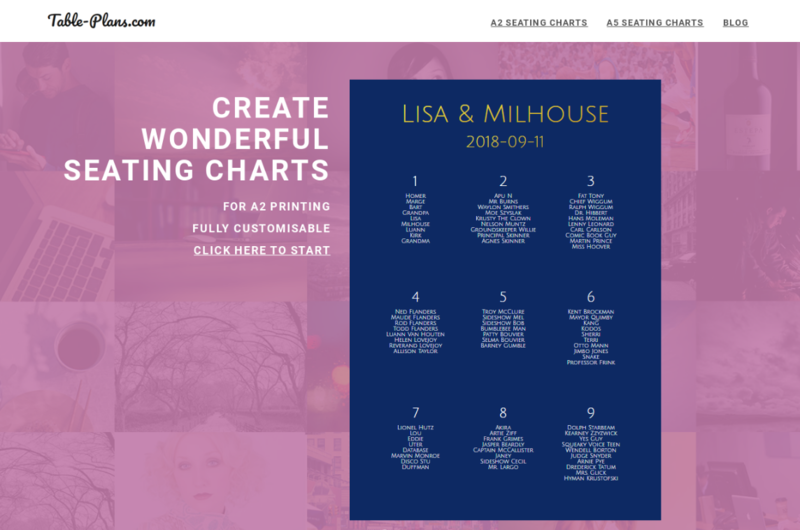 With table-plans.com you can quickly print your own table plans on your own printer. I used Vue.js with Vuetify.js heavily in the design interface - having responsive and modern looking components I could slot into the site saved me many hours. The site is hosted on AWS and uses DynamoDB to store the designs that users create. jsPDF is then used to let users export their table plans to PDF."